The newly-discovered world of Moltara is home to a few special varieties of Petpet. These can only be created by collecting materials from around Moltara City and taking them to Tangor's Workshop, where he will fashion them into a shiny new Petpet for you. If you like, he will even combine two existing Moltaran Petpets to make a new Petpet! The Scrap Metal and Stone is a random event which can occur anywhere in Moltara. The Shiny Obsidian and Miscellaneous Gears, however, are retrievable from certain places. In the screenshot below, the Obsidian Quarry is outlined in blue, while the eight possible gear locations are circled in green. When the gears appear on the map, click on them to receive your Miscellaneous Gears. In order to get your hands on some Red Moltite, you will need to complete a Moltara worm quest. Visit Lampwyck's Lights Fantastic. You will receive an Empty Lantern in a random event. You can now collect worms on both Moltara maps, keeping in mind refreshing is required. Click on the worm to add it to your inventory. 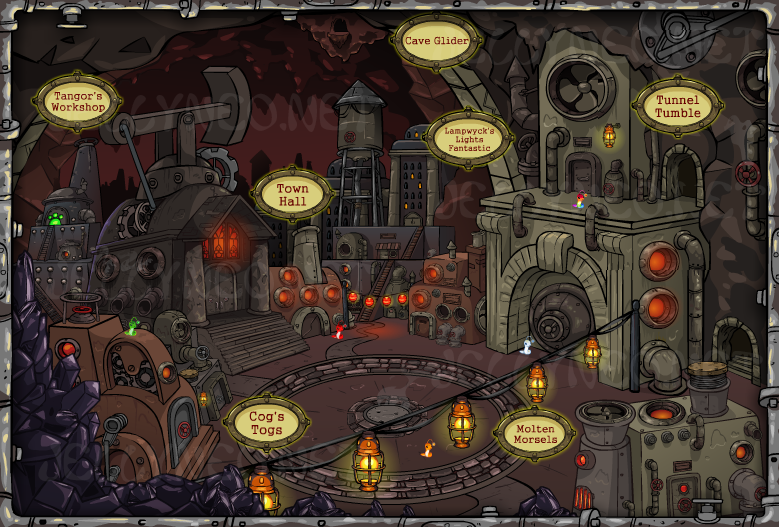 The process is somewhat time-sensitive; if you do not click on the worms soon after refreshing the map, you will not collect anything. Whilst they are in your inventory, worms behave in the same way as other items. That is, they can be stolen by the Pant Devil or fall prey to unfortunate random events and mishaps at any one of Neopia's many wheels. Fear not though, if you lose a worm it will reappear in its original spot for you to collect it again (thanks to Sarah for letting us know about this). Additionally, the Black and Rainbow Worms will only appear four times each day. These times are different for each account and the only sure way to find out is to refresh the map until they appear; however, these times will not change once you have discovered them. There are ten different-coloured worms to find; you must collect all of them. When you have found all ten worms, click on the lantern in your inventory and choose the 'fill it with worms' option; the lantern will become a Brightly Lit Lantern. Enter the Dark Cave, located right of The Gilded Page on the Moltara Caves map. After working your way through the cave, you will be able to collect the Red Moltite. Once you have done so your worms will grow tired and dim, preventing you from collecting more than once. Return to Lampwyck's Lights Fantastic. The shopkeeper will award you a Friendly Glowing Lantern, which is wearable. If you wish to collect more Red Moltite, however, you will need to repeat the entire worm-finding process. Note that you only receive the Friendly Glowing Lantern the first time you return to Lampwyck, after that he'll just offer to take care of your worms. Recently it was discovered that there is, in fact, rhyme and reason to the myriad of paths one can follow though the Caves in order to find that elusive Red Moltite. 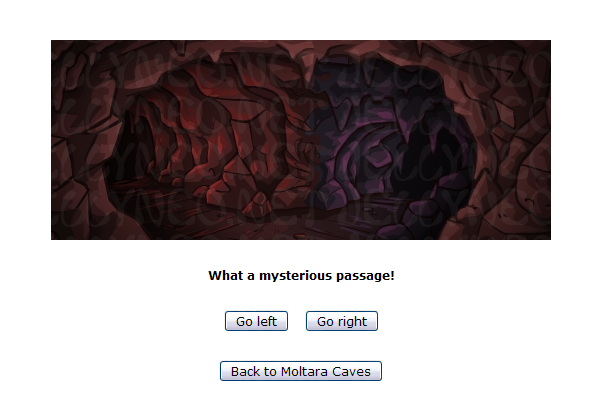 It's all to do with the mysterious caption underneath the first picture you encounter upon entering the caves. 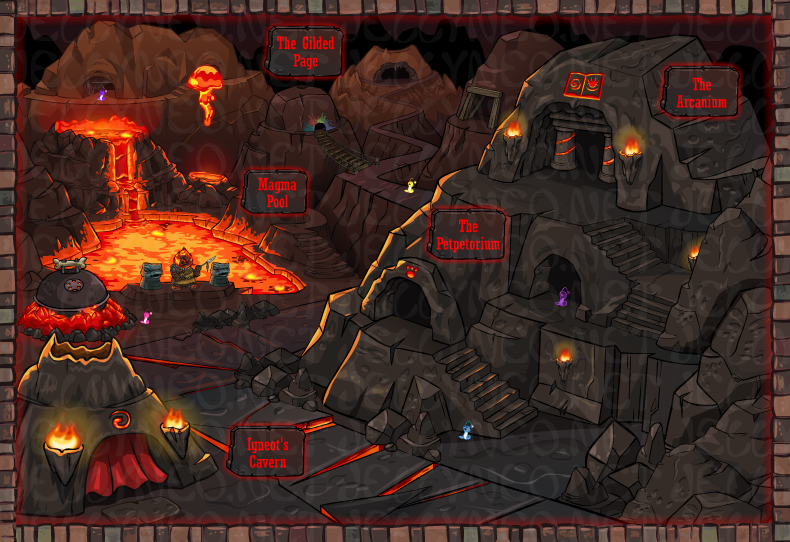 Each of the captions corresponds to one specific path through the caves. These do not change. 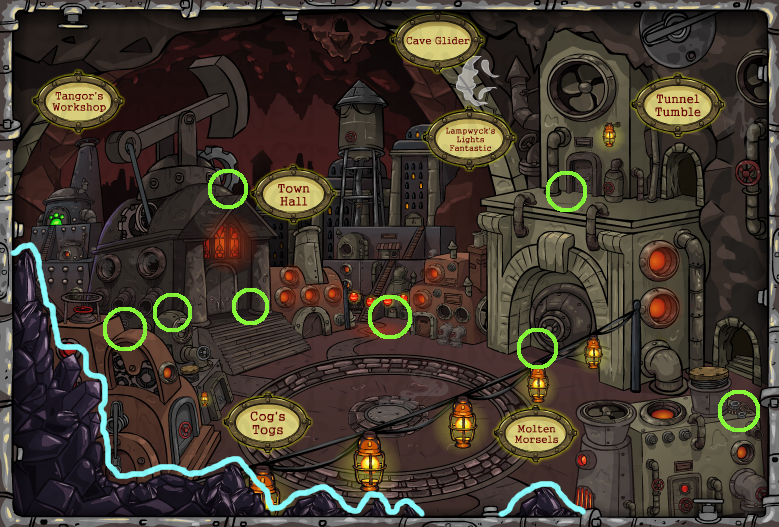 Spot the caption and you can easily make your way through the caves and find that moltite! Many thanks to nyllyn2 for the directions. At least it's not dark anymore! Does it smell like rotten neggs in here? Hello? Is there anyone in here? I hope I can find my way out. I hope there's no lava in here. I should have studied geology. sure wish Roxton were here. I wonder where this could lead? It's very hot in here! Jordie would know what to do. Look at the shiny rocks! This lantern is bright enough to see with! Where does this cave go? There are many different Petpets that can be made at Tangor's Workshop, including several from existing Moltaran Petpets. Each has a different materials requirement. NB: The Vaggendotra 5000 is not a petpet, rather a wearable and a toy. 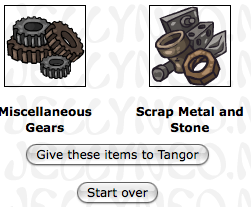 When you have collected the necessary materials, take them to Tangor's Workshop in Moltara City. Click on the appropriate material to give it to Tangor. Note you can only choose one item at a time. When you have chosen all the required materials, click the 'Give these items to Tangor' button. 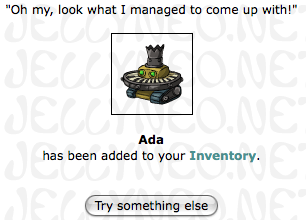 The new petpet will now appear in your inventory.